Shady Ladies is a colourful collection of Astilbes that would love nothing more than to bring a bit of perky colour to your shade garden! Astilbes are terrific shade plants, with their showy, graceful flower plumes, deep green, finely-divided foliage, and easy care. 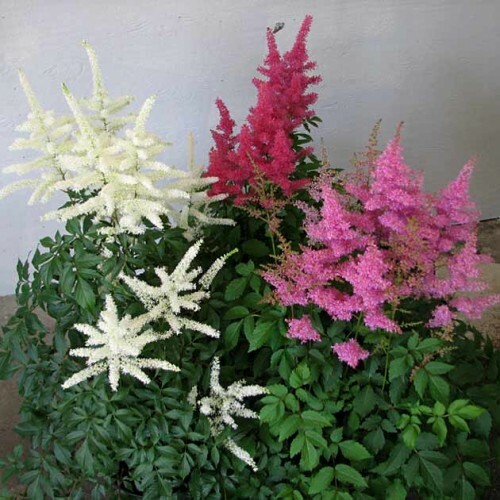 The astilbe bloom season begins mid June and lasts through July into August. The attractive skeletal flower heads even add winter interest. Abundant blooms make them outstanding candidates for both cutting and drying.